A group of Lower Academy students were invited to take part in this year’s Children & Young People’s Emergency Services Conference. The event was hosted in Chelmsford by the Essex Youth Assembly, in partnership with Essex Police, Essex Fire & Rescue Service and Essex & Herts Air Ambulance. 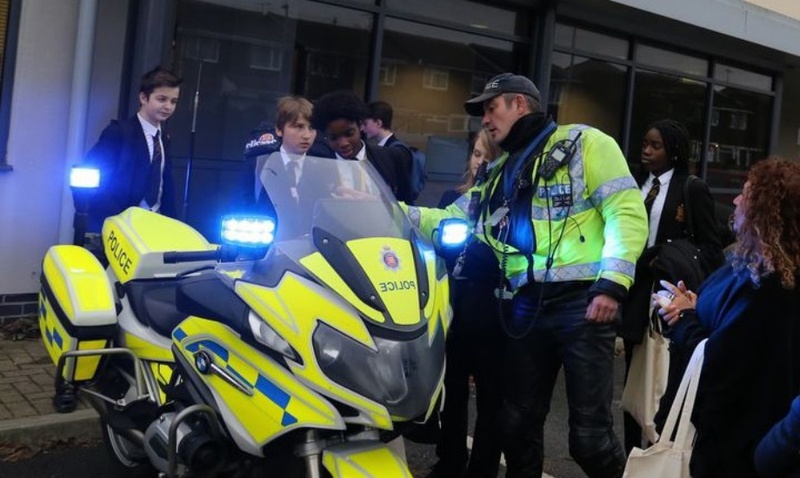 The day was an opportunity for secondary school students across Essex to voice their views on what they thought about the emergency services, as well as take part in various interactive workshops. Included in the sessions; highlighting the laws, risks and dangers of Sexting and a meet and greet activity where students quizzed professionals about their jobs. A Road Safety Awareness demonstration was provided with the particular focus on how it feels to attend a traffic collision. Towards the end of the day, students were given the opportunity to voice their opinions during a Q&A session, directing questions at senior staff from the emergency services. “Young people help to shape our thinking. How do police officers come across? How can we do better? Policing is all about keeping people safe and being a part of society.” Andy Prophet - Assistant Chief Constable, Essex Police. "The day was really interesting, I was fascinated by all of the different stories they told us. The session on Sexting was really informative.” Jack Sharp - Year 9. “I was able to ask Police Officers and Firefighters lots of questions and I learned how many different job roles there are within both organisations.” Comfort Erhabor - Year 9. Click here to view more photos from the conference.